How many insects are in the garden? 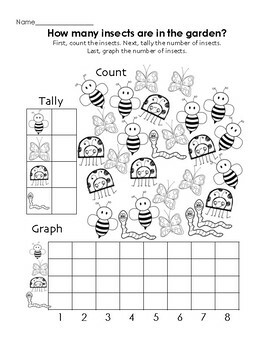 Activity: Students will count the bees and record the number using tallies in the ’Tally’ chart. They will complete the entire chart and then continue on to graph their findings. 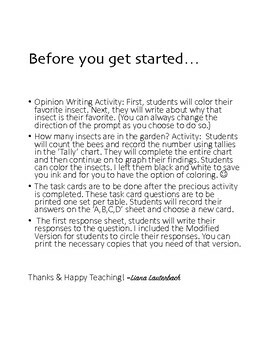 Students can color the insects. I left them black and white to save you ink and for you to have the option of coloring. The task cards are to be done after the precious activity is completed. 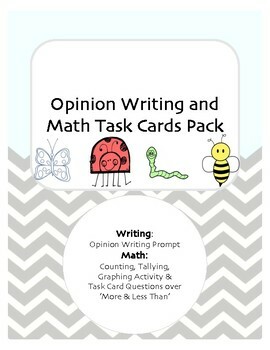 These task card questions are to be printed one set per table. 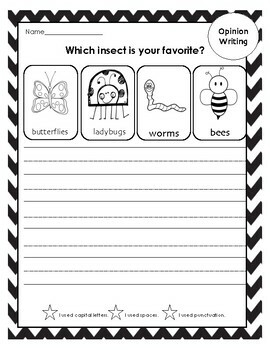 Students will record their answers on the ‘A,B,C,D’ sheet and choose a new card. The first response sheet, students will write their responses to the question. I included the Modified Version for students to circle their responses. You can print the necessary copies that you need of that version.